To Begin: Mix mayo, lemon, garlic, cayenne and 1 tablespoon of cheese in a small bowl. Place corn on a shallow plate and slather paste generously over entire ear surface. Reserve enough cheese and all of cilantro for the topping. To Grill: Make sure that grill rack is clean and coals are hot but flame has tempered. Place corn on grill and leave in place until the initial side is nice and well marked before turning. Continue rolling the surface of all sides of corn until uniformly charred and browned on all sides. 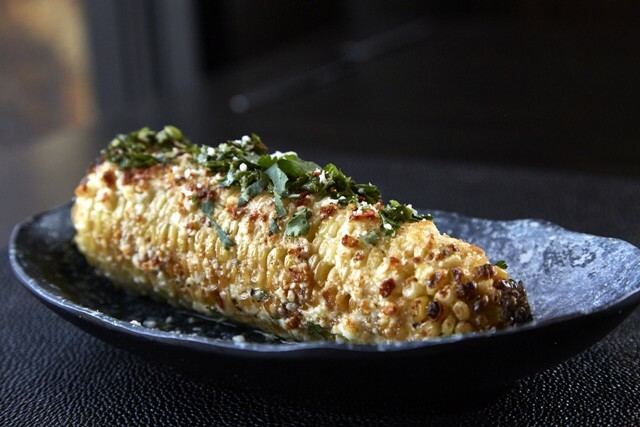 Carefully remove corn from grill and generously sprinkle with grated cheese and freshly chopped cilantro.